The summer solstice is a pagan holiday when the sun rises the earliest and sets the latest which was said to be the most powerful day of the year, when magical elements are strongest. In Sweden the summer solstice is called Midsummer, once celebrated by sacrificing for fertility. Nowadays it is celebrated differently, but traditions and symbols are still recognized. 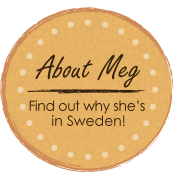 Midsommar traditions in Sweden are so beloved and important that the day was debated to become the country’s Nationaldag, and to many people it is. 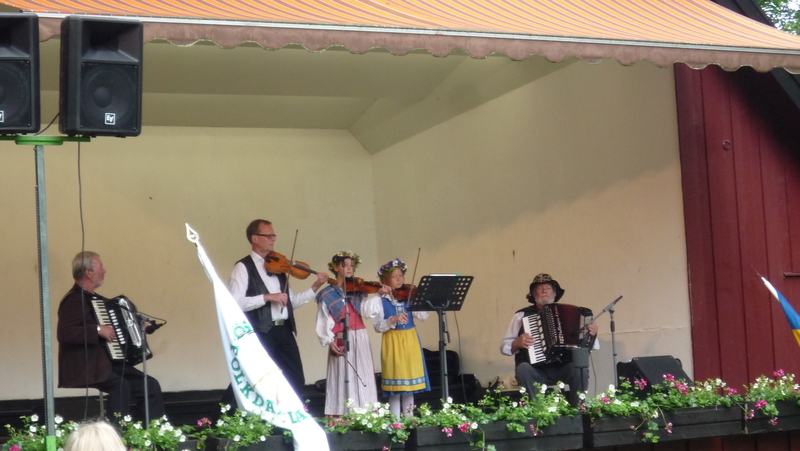 Until 1953 Midsommarafton (Mid summer eve – Most Swedish holidays are celebrated on the eve, instead of the day) was always celebrated on June 23rd. 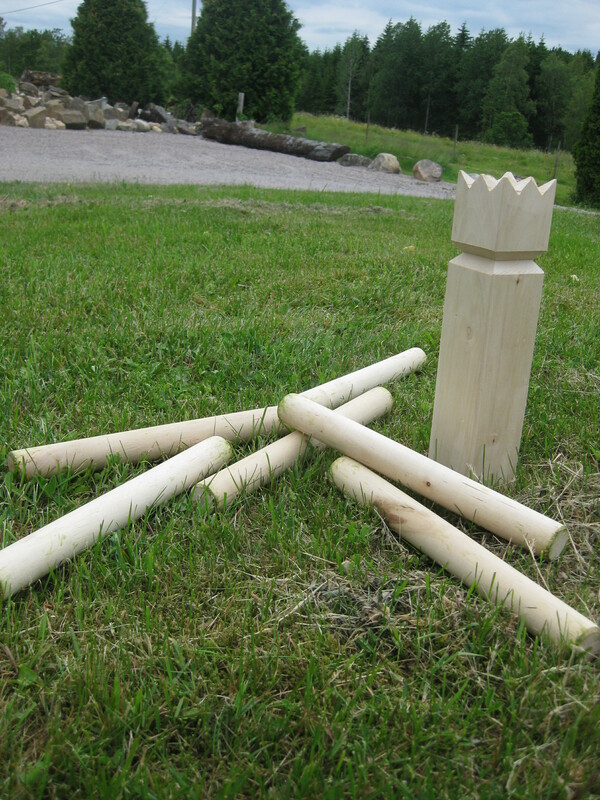 Now it is always observed on the Friday that falls between June 19th and the 26th, giving Swedes a three day weekend to properly enjoy the longest day of the year. 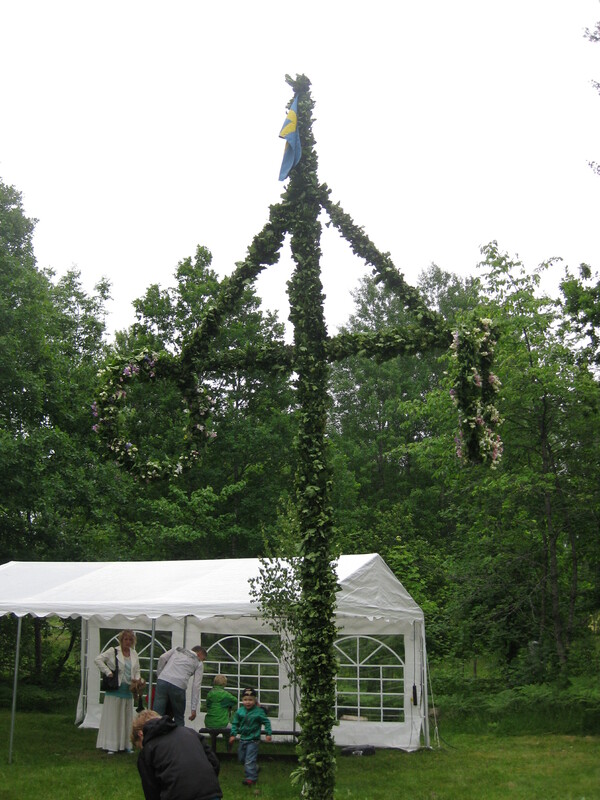 You can’t have a Swedish midsommar with out the maypole, “midsommarstång” (Midsummers pole). 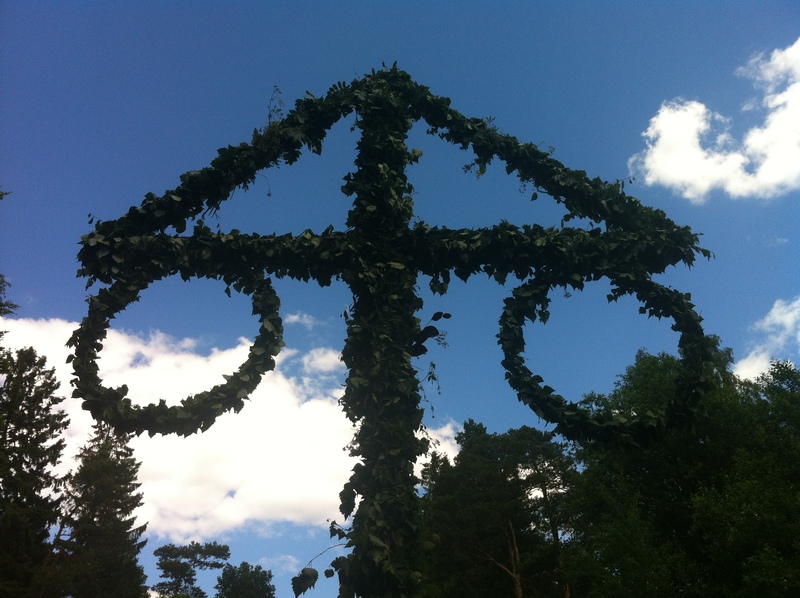 The central part to midsommar is decorating, rising, and dancing around the maypole to traditional music and traditional clothing. 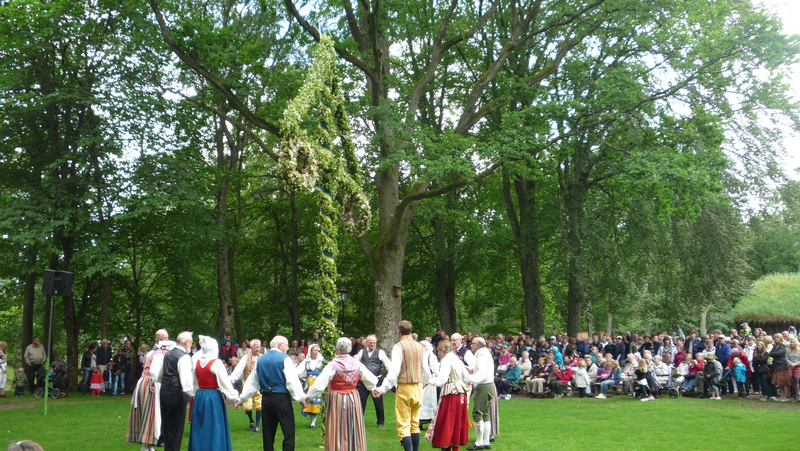 One of the most popular maypole songs is“Små grodorna” (The Little Frogs), where the dancers hop around the maypole. 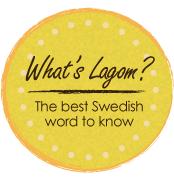 “Små grodorna, små grodorna är lustiga att se. “The little frogs, the little frogs are funny to observe. 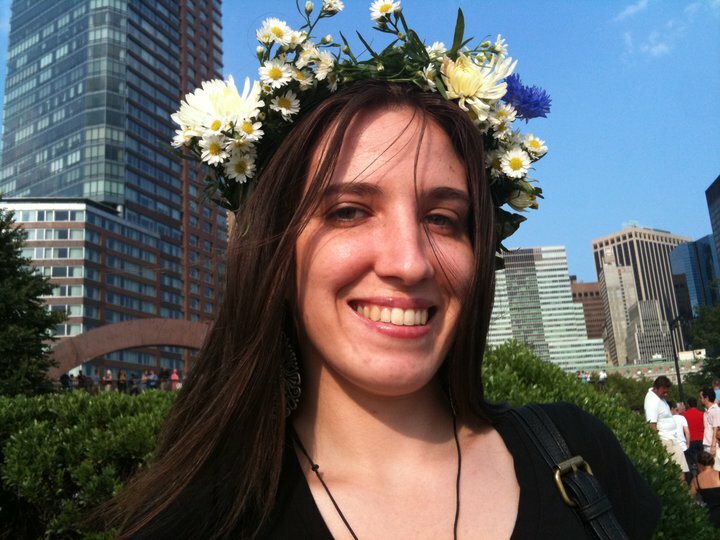 Flowers and greenary are an important part of Midsommar, once believed to hold the potency of magic on this day. Herbs are stronger, plants can bring good luck and health, and picking nine different sorts of wildflowers and placing them under your pillow would make you dream of your future spouse on this night. 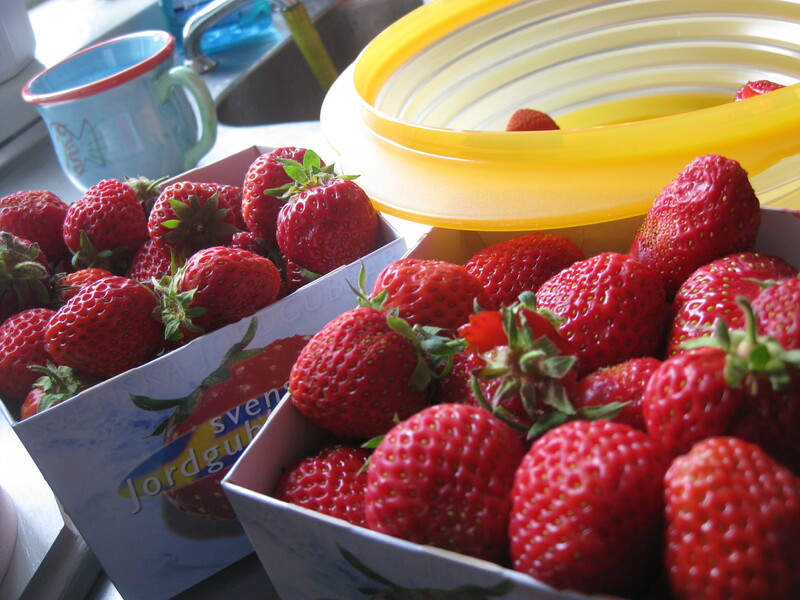 Fresh Swedish strawberries are a top priority when celebrating Midsommar. 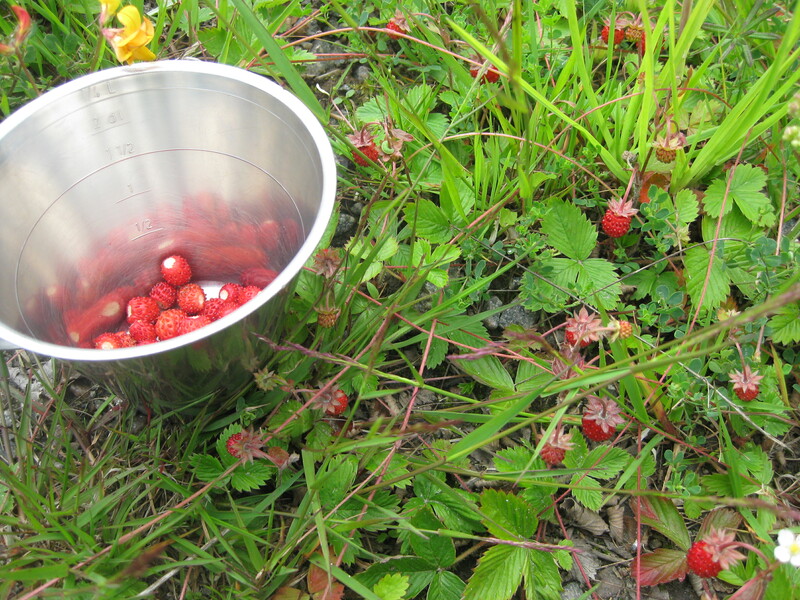 This year I picked berries for the first time ever, these small sweets are called “smultron,” and are a great addition to the strawberry desserts. 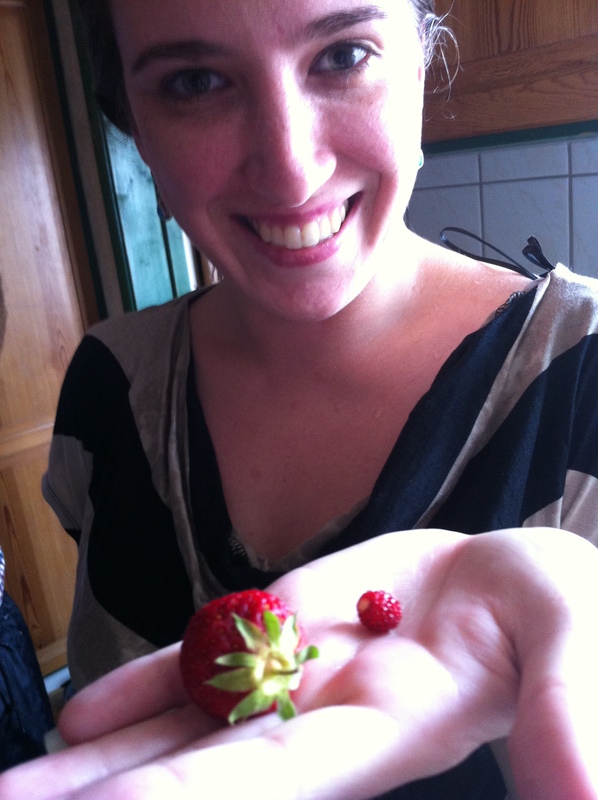 So very tiny, tasty, and fun to pick! 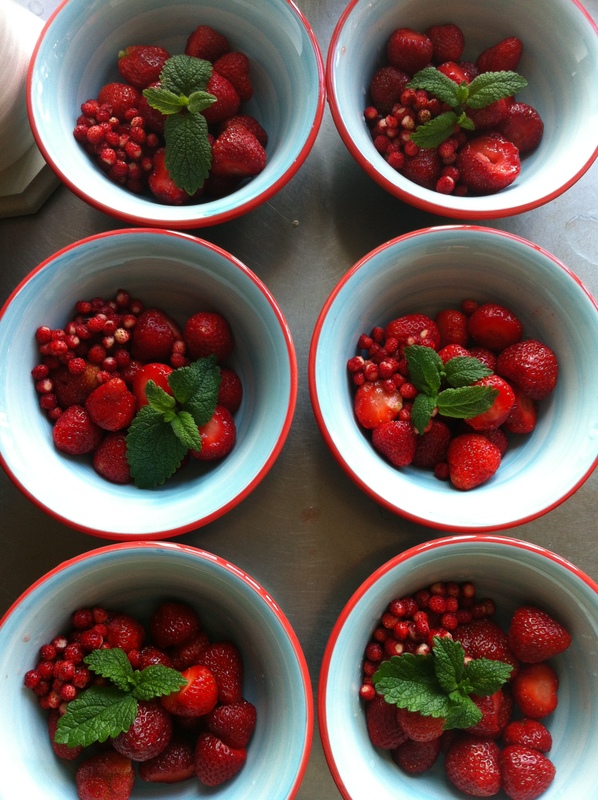 We had bowls of strawberries and smultron with mint and vanilla ice cream. We also had a strawberry and whipped cream cake, and a rhubarb and Strawberry pie! 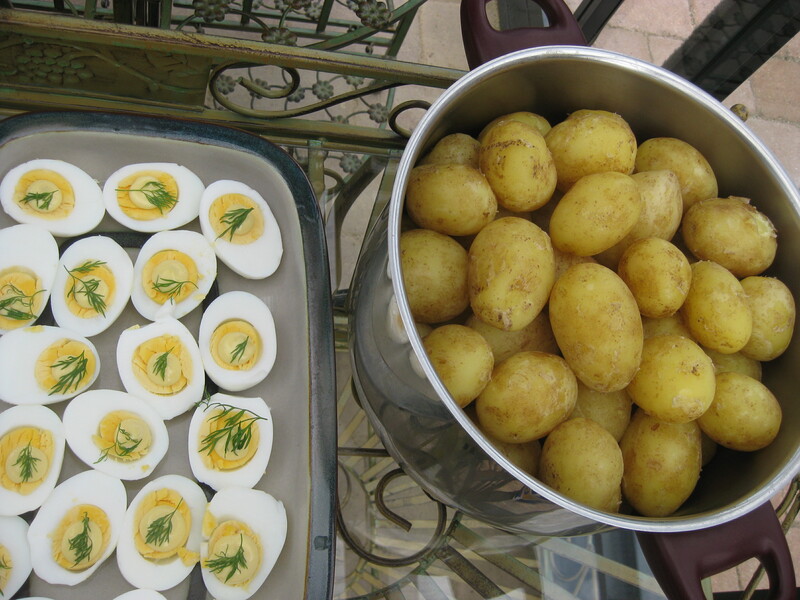 Midsommar is also known for the new potatoes. Fresh from the ground, covered in dirt, and ready to be scrubbed – new potatoes are one of the centerpieces of the midsommar meals. 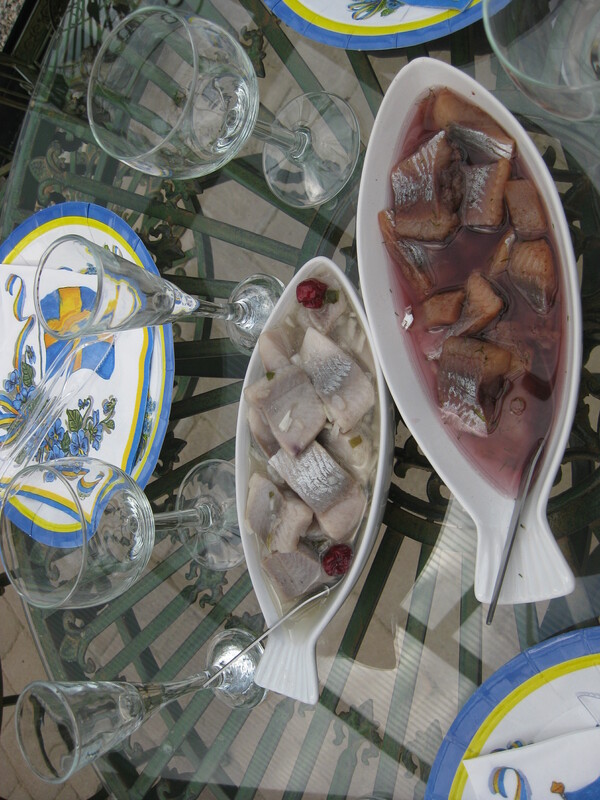 New potatoes paired with an assortment of pickled herring and boiled eggs followed by fresh strawberries is the way to go. 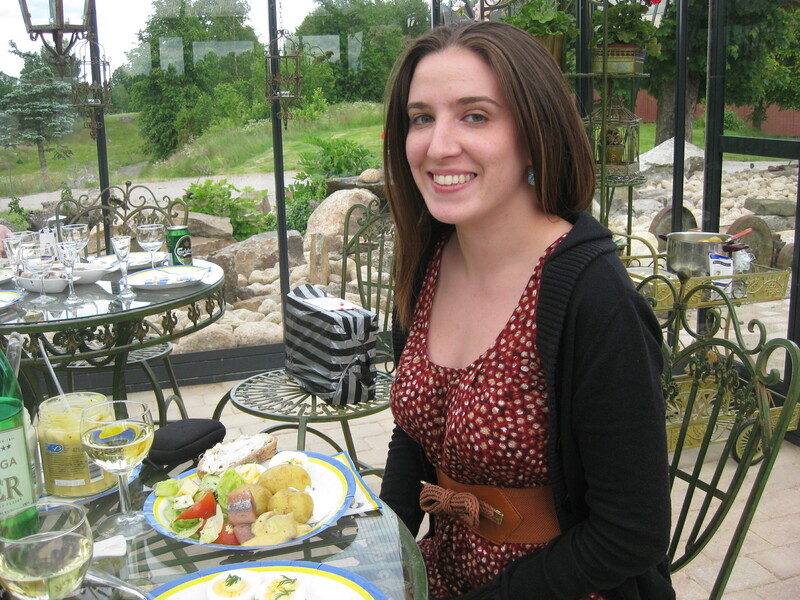 Aside from the food, the flowers, the magic, the maypole, the dancing, and the music, there are the games. 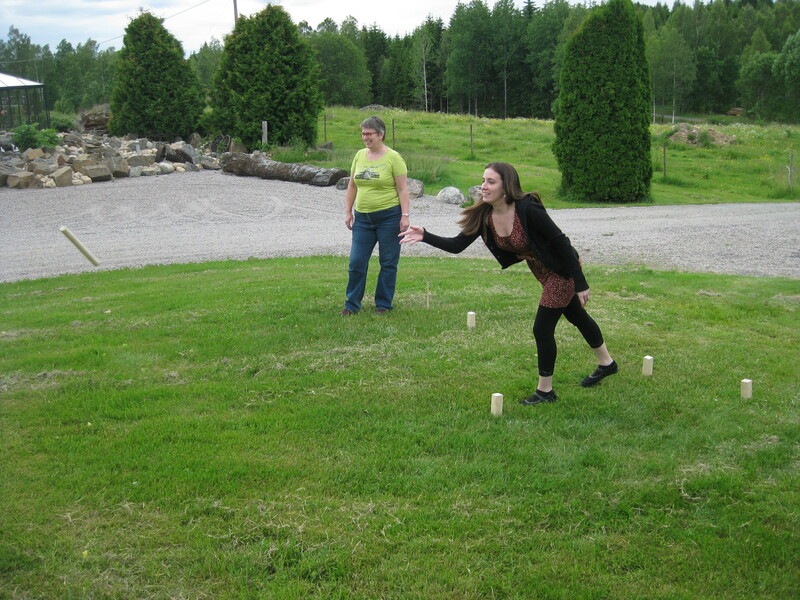 Many friends and families play group games on midsommar as part of the festivities. The real magic though, is in enjoying the 18 hours of daylight with great company. Categories: Adjusting & Differences, Family, Featured, Food & Drinks, Holidays, Cultures & Traditions, Sweden | Tags: dance, festivities, flowers, holiday, magic, maypole, Midsommar, pagan, Små grodorna, strawberries, Tradition | Permalink.